Looking for nonprofit accounting software? Good budget management is a crucial component of the system you choose. Here are some questions to ask vendors about budget management tools. Can individual budgets be created for entity levels within the organization such as by projects, departments, and funds, with individual reporting capability and the ability to roll budgets together for overall organization totals? Can the application create new budgets from previous history actuals with the logic of adjusting the new budget numbers by a percentage, flat amount, etc. If department heads are responsible for their own budgeting, can the application export an entity budget to Excel®, allowing a department head to create their own budget numbers and then import the information back into the related entity budget? Can the application allow for customized budget reporting and provide options to report by entity all the way up to organizational totals over different time periods. Ask the right questions and you’ll be on your way to getting a system that can meet your organization’s budgeting needs. 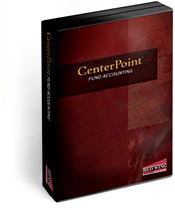 Why CenterPoint Accounting for Nonprofits? Are you looking for a better way to handle the accounting for your nonprofit organization? There are so many accounting software products available and it can be hard to decide which one is right for you. In case you are wondering if CenterPoint Accounting for Nonprofits will be a good fit, here are some statistics about the nonprofits who look to Red Wing Software for their nonprofit accounting. About 48% need fund accounting and nonprofit specific features. When you are trying to manage different funds, it can be hard to do that in a basic accounting system that was made for small businesses. Most nonprofits who make a move to CenterPoint Accounting for Nonprofits have tried to make that kind of system work for their needs, but find that it would be far easier to use a system made for that purpose. 22% are outgrowing their basic software. Nonprofits that have grown over the years often move to Red Wing Software to accommodate a growing organization, more users, more data, and more! When a system gets bogged down, can’t be networked or accommodate additional users, it’s time to move to something new. 17% are doing the accounting by hand. Saving money can be appealing, and starting out by doing the accounting for your organization by hand is common. As time goes by, you will know when you are at the point of needing a better way to handle the accounting. This is when many organizations turn to CenterPoint Accounting for Nonprofits. About 13% are new organizations. If a nonprofit organization knows at the start what they need to get the reports, budgeting, and financial management tools in a meaningful format, they start by using an accounting system that can handle those things. By starting out with CenterPoint Accounting for Nonprofits, you can use the system for many years, instead of looking for something better after only a brief period of time. Red Wing Software and CenterPoint Accounting for Nonprofits have helped thousands of nonprofits manage their financial information. Contact us today to see how we can help you by calling 800-732-9464 or e-mailing info@redwingsoftware.com. Migrating Your Software: Real Data that can Help You! Since we are a software company, we work with customers nearly every day who are moving to a new system, and are often bringing some information over from their old system to the new one. (This is referred to as ‘migrating’.) Of course, we all have our own opinion when it comes to migrating. Your company may have migrated with great success and had no issues, and another may have run into some problems along the way that left a bad taste in their mouth. There are so many variables involved in migrating your software, all of which can affect the success of your migration. Here are some statistics from a survey taken by real customers of Red Wing Software and customers of other software products. Understanding the experiences of others who have been there can help you make your own migration successful. The most important factor for a smooth migration is the support team. This answer got 59% of the responses - more than double that of any other choice selection! There are many things that can help with your software migration: training, help documents, videos, and more. But the support team is probably your most helpful resource during a migration. Anytime you have an issue or question, or need to know how to do something, you can just pick up the phone and give them a call. That’s why using support should be a big part of your plan to get the software up and running. You may feel like you are calling too often or bothering the support team, but that is their job, and they deal with the exact things you are dealing with every single day. Every call you make is an investment in your future with your new software. 36% of respondents said training was the number one thing they could have done to improve their migration experience. If you are thinking of getting training prior to migrating, you might want to consider this number! Once you start the wheels moving in the process of your migration, it’s hard to stop it and get training at that point. So think ahead when it comes to training. If you or your staff don’t know anything about the software and need to familiarize yourselves, plan to either attend training, or at least do some online tutorials, well before the actual migration process begins. Then you can get all of your questions answered and understand processes, which will greatly reduce your stress level once you start using the software. Only 9% of people said they had a plan to help them stay organized. You might think you are far too busy with everything else involved in your software migration to come up with a migration plan. But just think about it, how lost would you be in your daily life without a calendar to keep track of what there is to do. Even if you just jot down some notes on paper, it’s a good idea to put a plan together for your migration. Key components to include are: who will do what, how long each step will take, and what will happen if one of the steps falls through or is completed late. When you are prepared for whatever happens, the migration process will go much more smoothly. You know you have to make the switch from your old program to something newer! In the end, your company will reap the benefits of newer technology. Why not make your migration a successful one by heeding the comments of those who have been there and done that?